GRAND ELEGANCE & DISTINCTION AWAITS w/this breathtaking CUSTOM brickfront colonial located in one of Sharon's most prestigious & sought after neighborhoods! 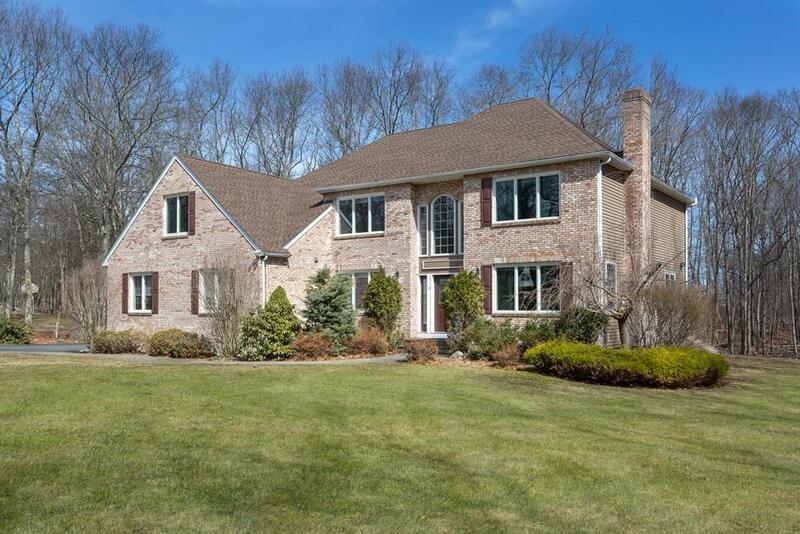 DRAMATIC OPEN living spaces incl IMPRESSIVE GRAND foyer entrance & SOARING ceilings, french doors leads to 1st fl bedroom, IMPRESSIVE stone fireplaced family rm w/SHOWCASE WINDOWS overlooking a PEACEFUL PVT landscaped yard, CLASSIC dining rm & fireplaced living rm! EXQUISITE architectural & CUSTOM details surround this MAGNIFICENT home w/WALLS OF GLASS! 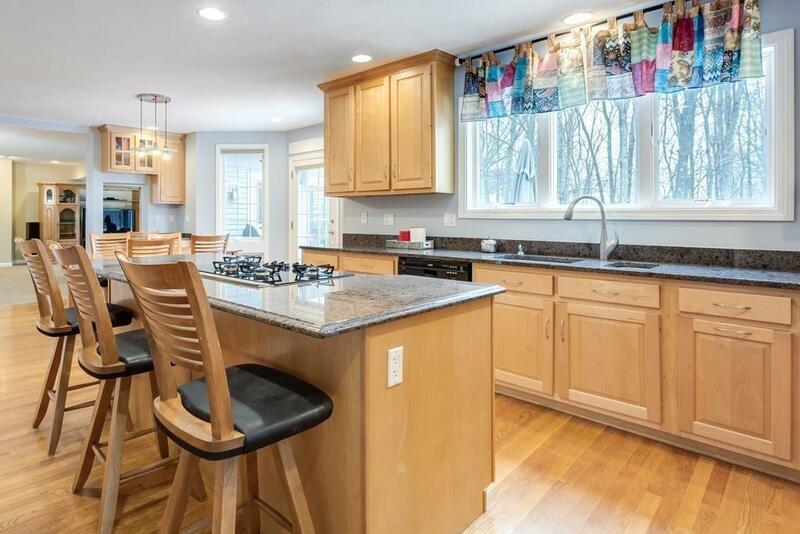 Kitchen w/GRANITE island, gas cooking, maple cabinetry & walk-in pantry. 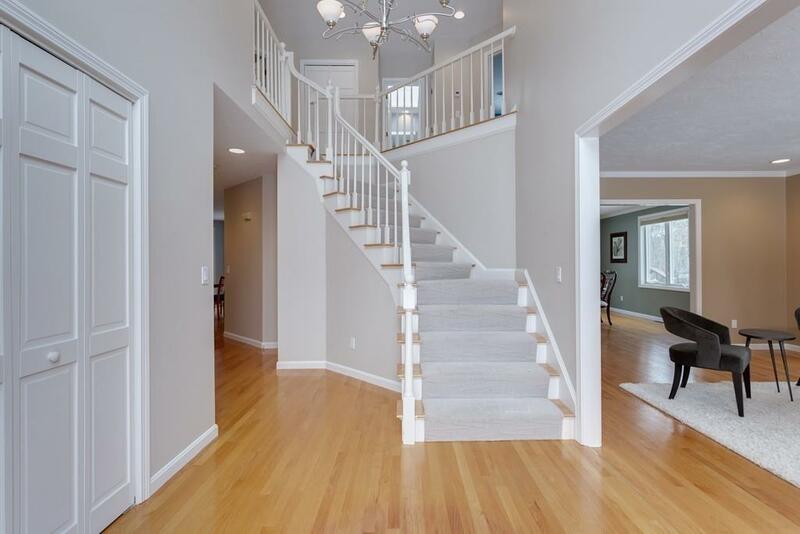 Retreat upstairs to STUNNING master suite w/French doors, sitting area, walk-in closet, SPA-INSPIRED master bath w/DOUBLE VANITIES, SKYLIGHT & JETTED tub. 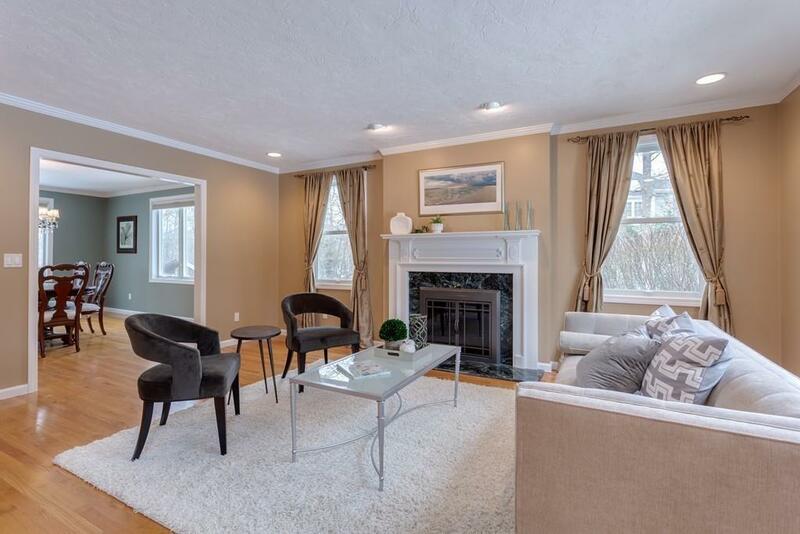 SPACIOUS, LIGHT & BRIGHT bedrooms, full bath w/double vanity, FABULOUS skylit bonus rm & laundry rm complete 2nd fl. FINISHED LL w/game rm, bar, play room & gym! This PVT retreat is designed for entertaining & enjoyment on a grand scale. . A TRUE SHOWPLACE!